Based on the available evidence, the incident was assessed as Intentional Conduct with Low Impact and High Contact. The incident was classified as a one-match sanction. 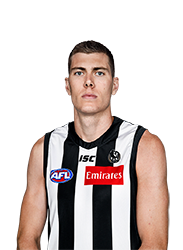 Following the charge, social media was flooded with calls from footy fans and high profile media commentators for the charges to be dropped as it appears on the footage available that Grimes ran into Cox on what could be best described as a block with no obvious malice. Should Cox be found guilty he would miss at least this week's Grand Final replay against the West Coast Eagles. Meanwhile Cox has been nominated for goal of the week. Fans can now view and vote for their favourite goal at goaloftheyear.afl. Voting opens 2:00pm (Melbourne time) each round the day after the last game and will close the night before commencement of the next round (exact days of the week may change depending on fixture). All members of the public that vote and pick a weekly winner in the 2019 Coates Hire Goal of the Year will go into the draw to win $10,000. At the end of each 2019 Toyota AFL Premiership Season Round, the AFL Game Analysis Committee will nominate three goals for public voting for the weekly Coates Hire Goal of the Year. In 2019, footy fans will remain as the eleventh member of the voting panel, joining the AFL Game Analysis Committee to determine the overall winner for the Coates Hire Goal of the Year Award. Fans will be able to vote for their favourite goal via goaloftheyear.afl. At the conclusion of the 2019 Toyota AFL Premiership Season, the AFL Game Analysis Committee will select the best three goals from a selection of 28 (the 23 weekly winners as voted by the footy fans, along with five other contenders). These goals will be selected based on a 5-4-3-2-1 vote given by each member of the selection committee. The best three goals will then go to another vote to decide the winner of the 2019 Coates Hire Goal of the Year with the fans pick considered as a single vote in addition to the ten person AFL Game Analysis Committee voting. The 2019 Coates Hire Goal of the Year award winner will be announced at the 2019 Brownlow Medal Count. The player that wins the 2019 Coates Hire Goal of the Year will receive $10,000.